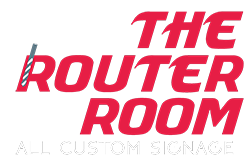 The Router Room – is a FULL-SERVICE sign company providing exceptional levels of products and services to meet our customer’s needs and requirements. We proudly serve national and international customers. Our experienced and professional sales team is ready to provide information and assistance. Meanwhile, On-line you can review our products and services; request an estimate, transfer a file, place an order, or place a request for maintenance or service; All at your convenience 24/7/365. We want to make the process of doing business with us as easy as possible. Our In-house, experienced design team can quickly and easily create your new “First Impression” image; corporate / company logo & national branding. We are professionals that can embellish your visions or provide you a custom design! Design possibilities truly are limited to the imagination of a great artist! 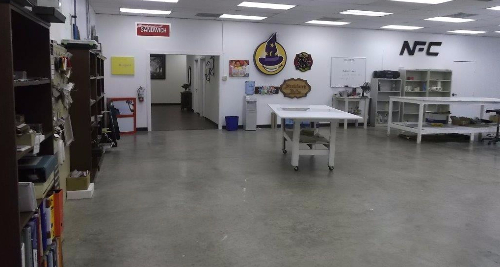 Being innovative design professionals, we are accustom to working with local ordinances, landlords requirements, special zoning districts, and special considerations of all types to provide the most outstanding designs to business identification needs. Quality Assurance begins with the engineering design, is considerate of operating efficiency and the products expected life cycle. Our skilled and experienced staff continually reviews our purchasing and manufacturing processes to provide the very best in product efficiency, quality and reliability. When the day comes you do need Sign Maintenance or Service; Our sign services are provided across North America and Canada utilizing a vast network of proven service providers. The Router Room Service fleet shuttles the Dallas - Fort Worth (DFW) Metro-Plex and outlaying North and Central Texas areas; plus extended ranges for special projects. 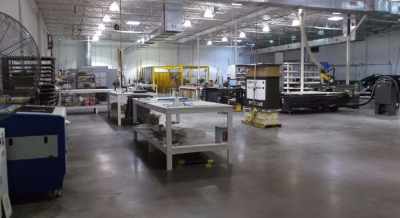 Yes, Our Products and Service Request areas provide you 24-hour access to our company. We're still just a point and click away from getting you in line for the next available service call.